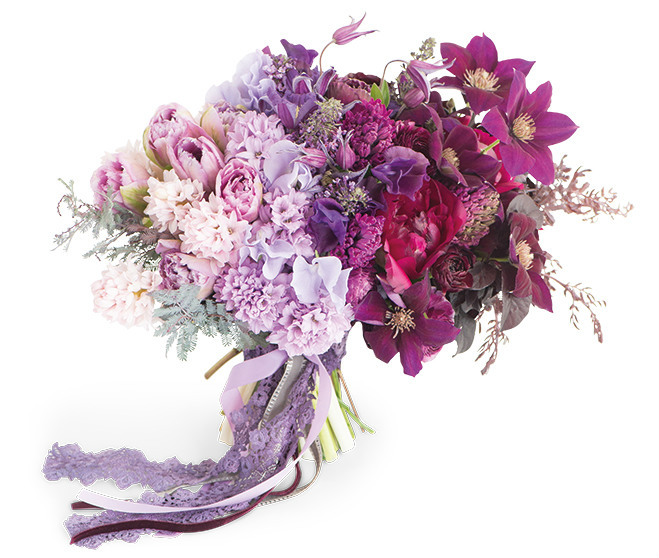 The ombré effect adds a romantic yet modern feel to this free-form bouquet. Brimming with sweet peas, ranunculus, clematis, hyacinths, peonies and tulips, the floral shades progress from soft lavender to luxurious aubergine. $300, Foxtail Florals in Orange County. A triple-tiered pistachio cake filled with vanilla Bavarian cream and raspberry. 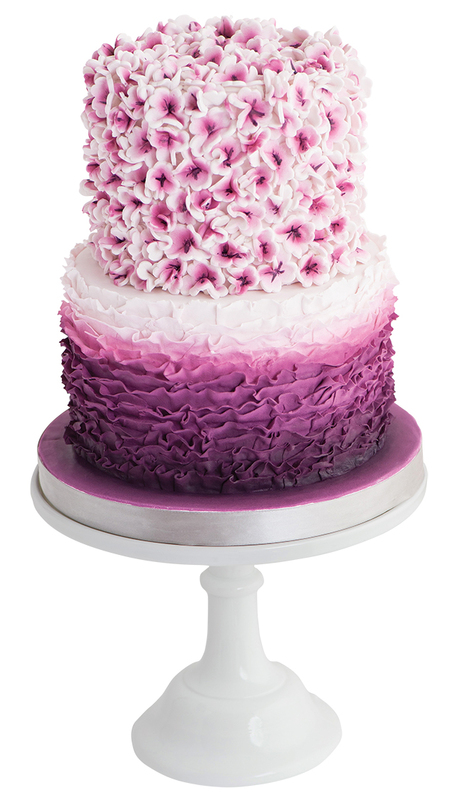 The purple-hued cake base boasts a base of delicate fondant ruffles that segue into stacks of handmade, painted fondant flowers. $640, from Beverly’s Best Bakery in Fullerton. 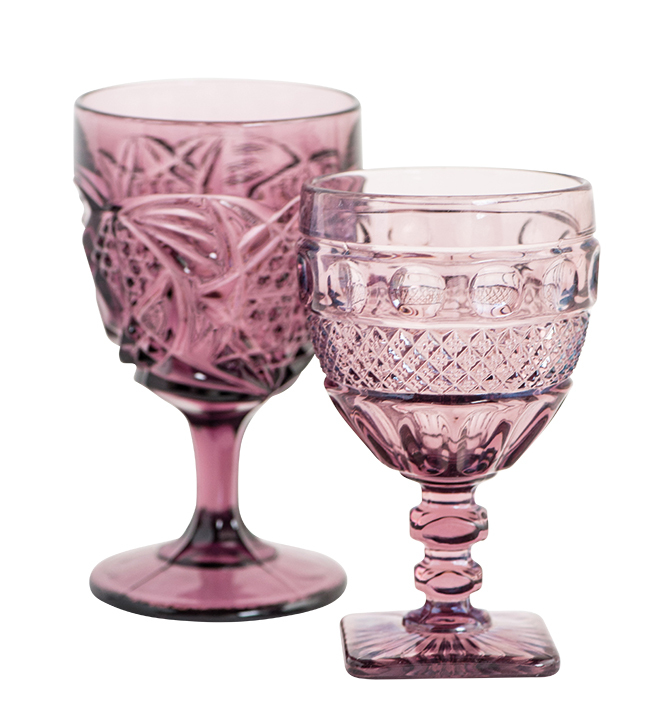 Add a splash of color to the table top with these vintage amethyst goblets of early American pressed glass. Rent for $2.30 per glass, from Borrowed Blu in Los Angeles. 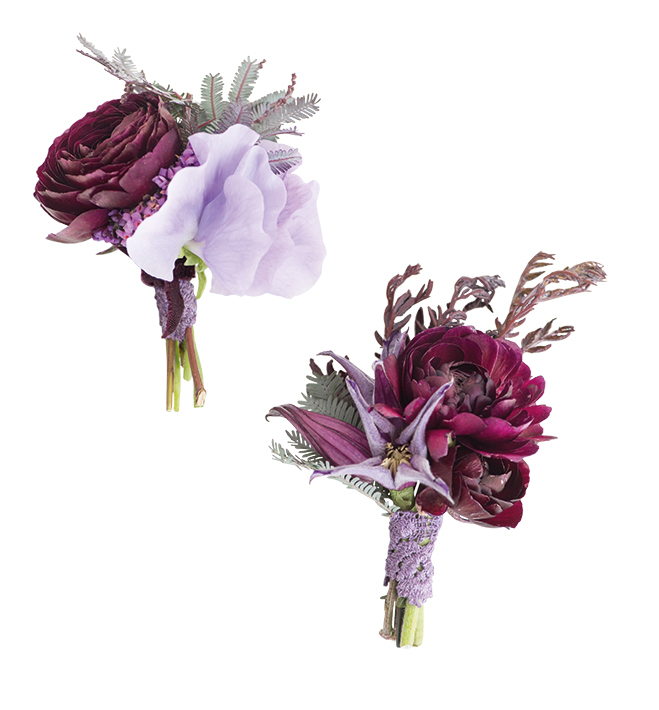 Make a stylish statement by mixing and matching the groomsmen’s boutonnières. On the left, ranunculus, sweet pea and acacia foliage are tied with a hand-dyed lace ribbon, while on the right, the sweet pea is swapped out for clematis. $25, from Foxtail Florals. 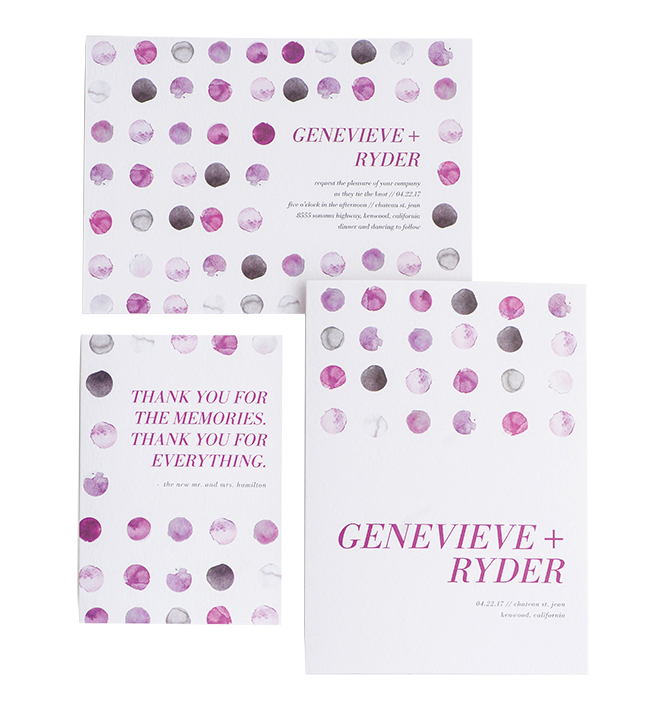 Mindy Weiss’ “Modern Splendor” paper suite features a mix of berry-hued and contemporary gray water droplets on a white textured background. A full range of options are available, from invitations and thank-you cards to programs and menus. Pictured are invitations, $189 per 100; thank-you cards, $149 per 100; program, $294 per 100; all from Wedding Paper Divas. 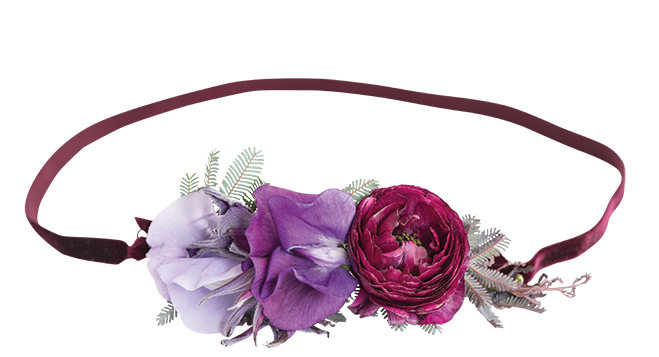 A perfect accessory for the bridal party, this stretch velour ribbon headband with sweet peas, ranunculus and acacia foliage is a unique take on the traditional floral headwreath. $40, from Foxtail Florals.